Embellishments are popular, as is having an oyster or gold hue. Lauren says that ‘more creative and daring backs’ are often seen too. 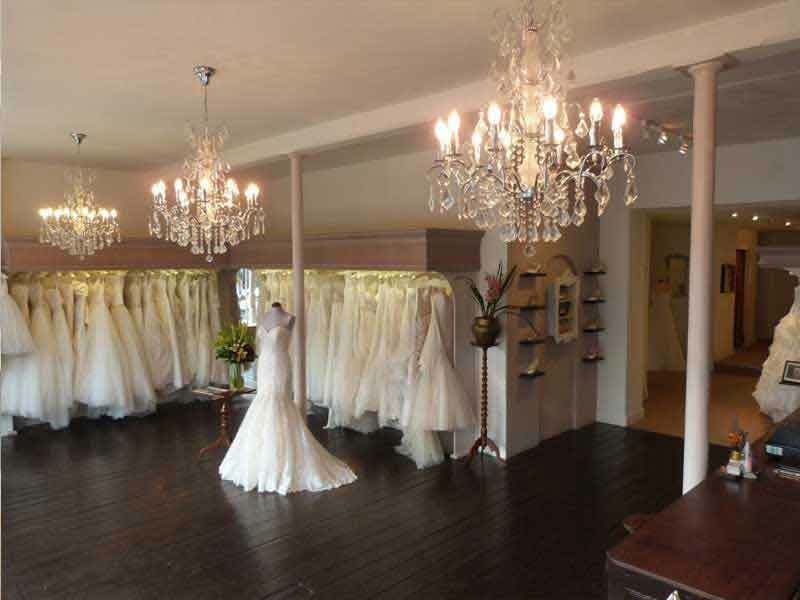 Nell’Amore prides itself on providing a relaxing atmosphere for brides to try on dresses. Nell’Amore is dedicated to dresses, but also stocks shoes, accessories and outfits for flower girls. Why did you decide to open up a bridal wear boutique? Before Nell’Amore started I had worked in bridal wear for a few years, but due to a car accident and surgery I had to leave that position. I really missed working with the brides and going on their journey with them to help them find the perfect gown. After going through a multi car pile-up you realise how short life can be and I didn’t want to have any ‘what ifs’, so at that point I decided that opening Nell’Amore was something I had to do. What are the most common questions you receive from brides? Brides definitely want to be individual, so many brides ask me how many other people have purchased a particular dress, or whether a certain style has been popular. This is understandable; your wedding day is one day that you really don’t want to be like everyone else. What has been your most unusual request? The most unusual, but surprisingly common request is when a bridesmaid, mother of the bride or friend asks to try a dress on too. I completely understand if this guest is getting married too, and has a prior arrangement that the bride has made and discussed with us. But many get quite excited and announce that they would like to try a dress on during the brides appointment, which has led to some upset brides. What are the current popular trends with bridal wear and dress style? Dresses with a tone of colour are popular right now. Having an oyster or gold hue can really work on many different complexions. Three dimensional detailing and plunging necklines have been huge on the catwalks for 2018. Looking ahead, we are seeing more creative and daring backs with detail running into the trains. I’ve also seen a lot of flowing crepe fabrics, and lace and embellishment continues to be very popular too. Can you describe how the process works with a typical client? The first appointment with us usually consists of lots of trying on and discovering what the bride likes and dislikes. It isn’t uncommon to find the perfect one on the first appointment. Once measurements have been taken, it takes between four and six months for the bride’s dress to be made, and then it arrives in store with us. Behind the scenes, we spend time checking and steaming the dress before the bride’s next appointment. At this appointment, she will try her actual dress on for the very first time. Following this fitting, six to eight weeks before the big day we start alterations. The final fitting with the seamstress may be the week before the wedding, to ensure the fit is just right. Aside from bride dresses, what else do you specialise in? We like to solely dedicate the shop to the bride. Aside from gowns, we also stock shoes from Benjamin Adams and accessories from Ivory & Co and Richard Designs. As many brides like to match flower girls with themselves, we also stock a small collection of flower girl designs. What would be your three top tips for brides choosing a dress? 1) Try on an array of shapes and work out which is best for your figure, but don’t ‘over try’. Trying on too many can confuse what you like. 2) Bring the right people with you who will help you make the right decision. Huge groups of people can cause confusion for the bride by asking too many opinions. 3) Try not to re-design. If you are changing the dress design too much, you probably haven’t found the right dress for you. For more information about Nell’Amore Bridal Wear, visit https://www.nellamore-bridalwear.co.uk. 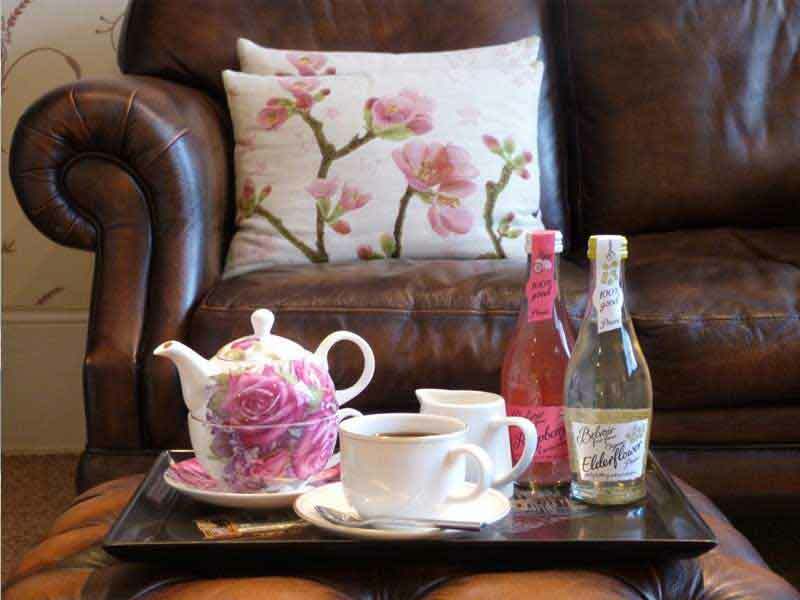 Lauren can be reached on 01787 478987 and the address of the shop is 14 High Street, Halstead, Essex CO9 2AP. You can also find the shop on Instagram @nellamore.bridalwear or Facebook @NellAmoreBridalWear. For further advice on planning your special day, contact me here. Looking to hire live music? Read more about the services I provide, view my repertoire, watch videos, see prices or read testimonials.